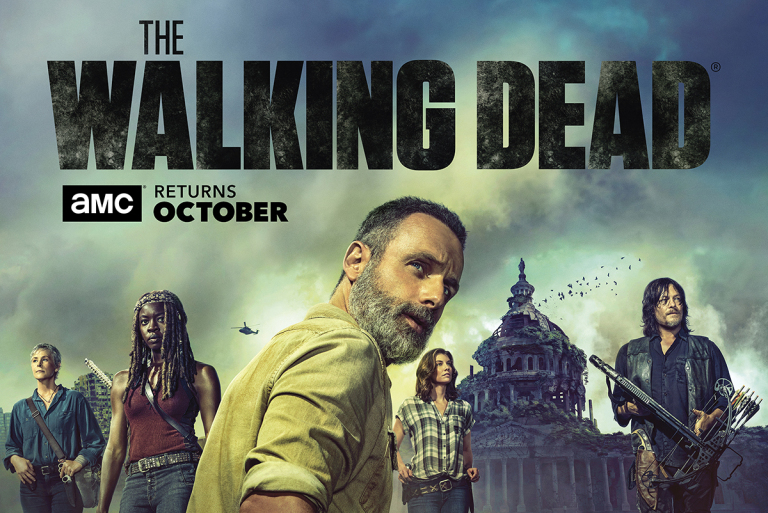 AMC Releases First Art for 'The Walking Dead' Season 9 - Horror News Network - The Horror News You Need! The poster, released by Deadline yesterday, is interesting for a few reasons: first of all, we are obviously following the mystery of the helicopter again this season (no surprise there). But the second, and most intriguing piece, is the Capitol because unless that large building was moved somehow, this means that the group ends up in Washington DC which signifies a major break from the comics. While AMC may be toying with us and the group may not end up in DC at all, it seems hopeful as a change in the series is definitely needed to reinvigorate a somewhat stale last few seasons. We’ll know more soon as I’m sure that the first trailer will drop at San Diego Comic-Con in a few weeks so be sure to check back to Horror News Network as we will have coverage of that and more from SDCC!